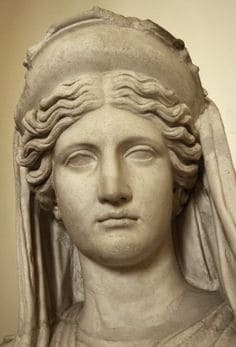 Also known as the ancient Greek goddess of the hearth, Hestia was the eldest among the first Olympian siblings, her brothers being Zeus, Poseidon, and Hades. It is believed that there were three virgin goddesses in ancient Greek mythology and Hestia was one of them – the other two being Athena and Artemis. Poseidon and Apollo relentlessly pursued her since they both wanted to marry her. But she kept the oath she had made to Zeus that she would forever remain pure and undefiled and thus never entered into marital union with a man. She symbolized the warmth of a house from the burning fire in the hearth. Most of the ancient Greeks believed her to be the divine representation of tranquility in a normal domestic life. Despite this, historical and archaeological evidence shows that her popularity never really took off. 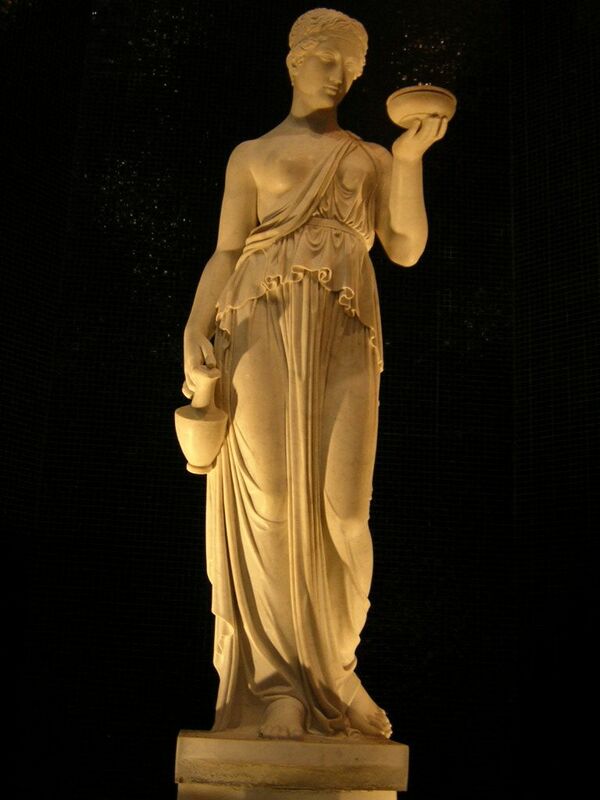 In fact, it is even said that she was removed from the pantheon of Olympian gods, her place given to Dionysus. In many ways, her Roman counterpart Vesta was far more influential since she represented the union between the colonies and the major cities of the Roman era. 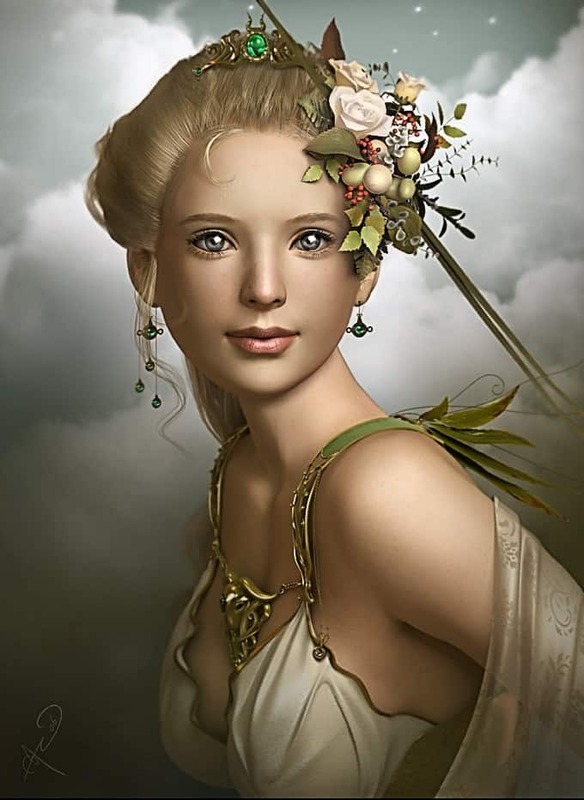 The youngest daughter of Zeus and Hera, Hebe was considered the divine personification of everlasting youth and beauty. Being the mistress of everlasting elegance and charm, she is labeled as the goddess of youth in Greek mythology. Her name itself means “youth” in the Greek language and many believed she could even restore youthfulness to the old. Her role on Mount Olympus was to serve the nectar that made the Olympian gods immortal. Despite being worshiped as a deity who could bestow youthfulness, she was more involved in the daily chores at Olympus, such as being the handmaiden to Hera and even preparing the royal chariot. She later married the popular demigod Hercules and had two children with him – Alexiares and Anicetus. As the name suggests, Nemesis was the god of retribution. 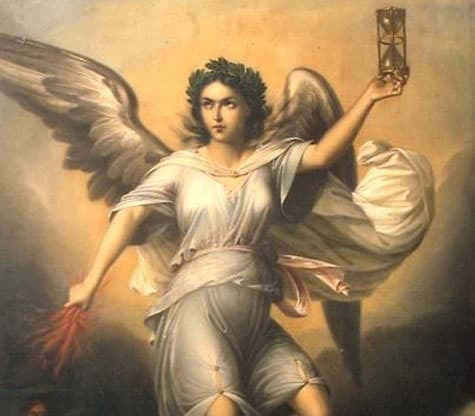 She would carry out judgment and inflict punishments upon those who perpetrated evil against others or amassed good fortune that they didn’t deserve. Also known as the god of revenge, she represented the consequences one had to face for every single felony. For this reason, many worshiped her as the very personification of all life’s repercussions for sin. Nemesis was never known to judge crime and criminals connected to personal vendettas. She would rather scrutinize the general situation of every man before deciding what he should receive – shades of happiness or heaps of retribution. Her actions were aimed at maintaining a balance within human affairs. She was the one who distributed happiness and, at the same time, dealt out misery. It was her job to make sure that there was neither too much happiness nor too much sorrow. Leto was one of the earliest and, as many would argue, the favorite lover of the mighty Zeus. But she is much better known for her struggling years of motherhood and is considered as the goddess of motherhood. Zeus and Leto were deeply in love and Leto had already given him children way before Zeus married Hera. But that did not lessen Hera’s anguish as she went to great lengths to bring utter despair upon a pregnant and helpless Leto. Eventually, Leto gave birth to the twin deities Artemis and Apollo. Having two such powerful gods as her children, Leto had regained her lost honor, and both Artemis and Apollo glorified their status in Greek mythology. Despite the hardships she had to endure, her cult began to spread as she wandered from place to place with her children. In the end, she successfully carved her name into Greek mythology as a modest, motherly, and respected figure. A popular deity in the age of the Titans, Rhea was the wife of Kronos, another Titan who dethroned his father Uranus to become the new ruler, effectively making Rhea queen. Rhea is known to have given birth to the first generation of Olympian gods – Hestia, Hades, Poseidon, Hera, and Zeus. For this reason, she is often called the mother of gods – a title far more deserving than her predecessor goddesses like Gaea and Cybele. She further reinforced this title when she gathered the much-needed courage to trick her own husband Kronos in order to save her children. In his utter paranoia that his children might dethrone him, Kronos would gobble up every single newborn. In an effort to put a stop to this lunacy, Rhea gave him a stone to swallow instead of Zeus when he was born. Kronos ended up throwing up all the children he had swallowed and thus Rhea was able to revive the first of the Olympian gods. Popular in Greek mythology as the most beautiful deity whose angelic appearance could charm even the hardest of hearts, she possessed the title of goddess of beauty, love, and desire. Besides her astounding beauty, she also had the power to ignite love and desire among gods, mortals, and even the birds and beasts. She was also said to have a role in the natural cycle of the birth, death, and rebirth of all mortals and living beings in nature. She is known to be the daughter of Zeus, though the stories behind her birth vary. Worried that her charm would stir up a lot of unnecessary commotion among the gods, Zeus had her married to Hephaestus, the legendary Olympian craftsman. But that did not stop her from having a not-so-secret love affair with the god of war, Ares. Aphrodite was the divine personification of the desire and affection that binds everyone together. Demeter was the daughter of two prominent Titans: Kronos and Rhea. Being the goddess of harvest and grain, she was given a high status in ancient Greek mythology. Even though she was one of the first Olympian gods, she took a path which was very different to other contemporary Olympians. She refused to be confined to the realms of Mount Olympus and went to the temples dedicated to her by her followers. She lived close to those who worshiped her, and in many ways, depended on her. She has always had a substantial following among mortals since she had the power to bless them with rich harvests, and she also created the seasons that were favorable for the planting of crops. But when Hades abducted her beloved daughter Persephone and took her to the underworld, she fell into a state of deep gloom and sorrow, causing the plants to wither and die. From that point onwards, whenever Persephone would leave for the underworld, the season of winter would fall in the world of mortals; Persephone’s return to Demeter would mark the beginning of spring. 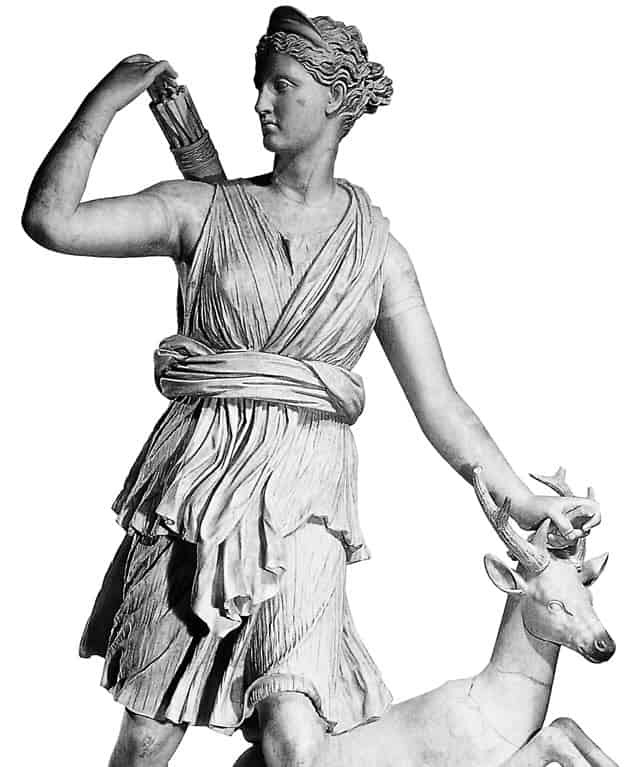 The twin sister of Apollo and the love child of Zeus and Leto, Artemis is popularly known as the goddess of hunting and the natural environment, among other things. Where Apollo preferred playing with the strings of a lyre, she preferred plucking the strings of her bow and established herself as a gifted archer and skilled huntress. 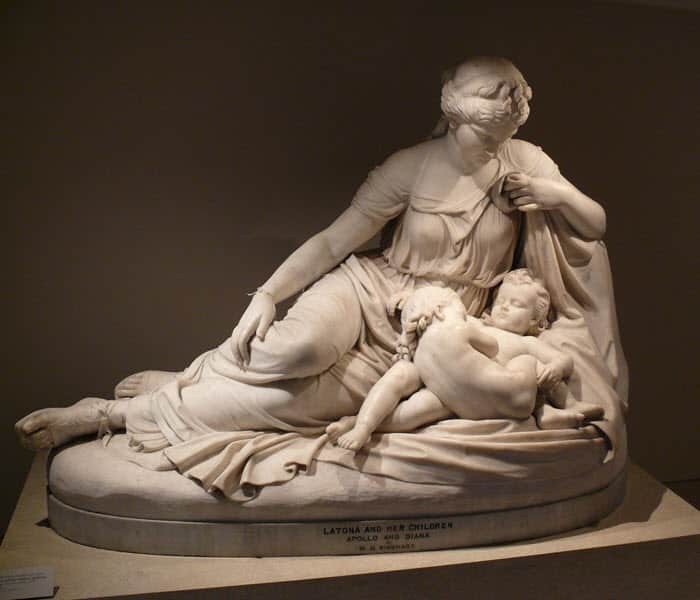 When she was born, she was capable enough to assist her mother Leto to then give birth to her brother Apollo and rightfully earned the title of protector of childbirth and labor. Having seen all the hardships that her mother had to go through for having mothered the love children of Zeus, she vowed to practice eternal chastity for all her life and remained a virgin forever. For this reason, she was called the goddess of virginity – a rather neat trick for she was also the goddess of childbirth. She never gave in to the advances of other gods and mortals, but it is said she eventually fell for her hunting companion Orion who was accidentally killed by Artemis herself or by Gaea. Also known as the goddess of marriage and birth, Hera was the wife of Zeus and by extension, also the queen of all gods. Being the divine representation of marriage, she always showed a special interest in protecting married women and preserving the sacred bond that was created when two souls were bound together in matrimony. But she had particularly tough time keeping Zeus for herself and he had countless extramarital affairs. Hera ruled over the heavens and the mortal world long before her marriage to Zeus. Even the mighty Zeus feared her. She was particularly fierce towards his other love interests and would go to great lengths to have them punished, so much so that she would not even spare their children. In her absolute anger and anguish over Zeus’ never-ending affairs, she would blindly punish others in the name of justice. The queen of gods was destined to remain forever jealous and plotting revenge upon Zeus’ love interests. At the top of the list comes the goddess of wisdom, reasoning, and intelligence – Athena. She was a unique deity with unfathomable popularity among gods and mortals. Her birth was far from ordinary given that her mother did not, technically speaking, give birth to her. Her mother was Metis, who was swallowed by Zeus while she was pregnant because of a prophecy that the child Metis was going to bear would become the lord of the heavens. But when it was time for Athena to be born, Zeus began to complain of a massive headache. Athena then sprang from his head fully grown and dressed in armor. 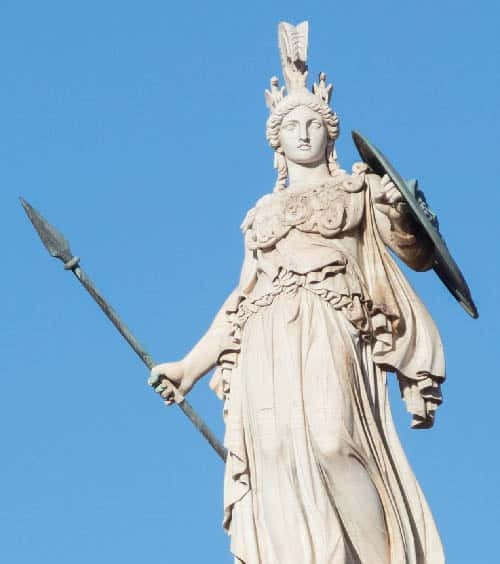 Athena was known for her ferocity in battle but unlike Ares, she never displayed hotheadedness and always believed in fighting for justice and righteousness. She only took part in wars that were fought in self-defense. She was the divine personification of reasoning, wisdom, and knowledge. No wonder she was Zeus’ favorite child and was even allowed to use his powerful thunderbolt whenever the need arose. The sheer scale of influence she had over the mortal world is evident from the fact that the city of Athens took its name after her. 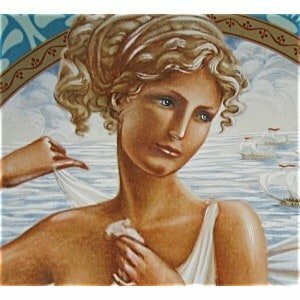 The Greek goddesses represented the feminine aspect of ancient Greek mythology. At the same time, each individual goddess also personified different aspects of life. Demeter was the divine embodiment of agriculture and harvest, thus by extension she represented life-sustaining food. Similarly, despite being notorious for her heartless ferocity towards Zeus’ love interests, Hera epitomized the sacred values of marriage. These goddesses not only justified their status as members of the Olympian family because of their angelic personas but also complemented their male counterparts with their divine presence. leto is not a goddess. she is a daughter of a titan. and BTW the stone bust of her is actually the ROMAN version of her. Leta by definition was a goddess. Because all the olympians were sons and daughters of the titans. Yeah! Why do you have to be so rude? If you need to make corrections, at LEAST do it in a NICE AND PROPER way. And if you don’t like the information, then keep your abusive thoughts to YOURSELF, rather than share them with the world. I think you misunderstand the concept of abuse. Anyways, it is important to correct misinformation on websites such as these, so that the info is not spread. It would be pretty tragic if a college student taking Mythology classes included Leto as a Greek goddess in a graded presentation or assignment. I think your comment is actually even ruder than the first one, seeing as you are calling the writer both rude and abusive, which no one likes to be called, while they just point out mistakes they noticed in the article. You are also telling them to not share their thoughts with the world, which is pretty suppressive. Um. Zeus, Poseidon, Hades, Demeter, Hestia and Hera were all offspring of titans… Just sayin. The children of the titans were called gods and goddesses. She is the daughter of a titan. Therefore she would be a goddess. Zeus is the son of Kronos,and he is a god. So is Posiedon, Hades, Hestia, and many, many others. How about you stop being so rude and just polietly just state what you believe. Yeah Leto is not a Godess but she is a titan but the Romans made her a godess. Thank you for reading this on you’re on time! Exactly what I was thinking! She may be a titan but, being a lover of Zeus she MUST be goddess and the others made her one too! Hestia, Hera, Hades, Posideon and Zeus were all children of titans as well. Does this mean that they also were not gods and goddesses? As I have been taught , Leto is not a goddes she was a daughter of a titan and the stone statue is the Roman version or her. You Are SO RIGHT!!! I think Hera SHOULD be on top she is so supposed to be #1. And isnt she Zeus´s Wife?? The reason Athena is no. 1 is bcuz she is Zeus’s Favourite daughter and most people rely on her during war. Besides she is the goddess of wisdom and Athens is named after her. Well, just Hera is Zeus’ wife it doesn’t mean she shows she is the best, it is an honor to be Zeus’ wife but, where is the honor for everything aside that. Um….. u know some stories say that Hera is Zeus’s wife? I hate Hera. I mean seriously, Leto and Zeus were having an affair before Zeus and Hera were even married. Plus, not that I’m sticking up for Zeus, but they are all immortal, at one point or another you’re going to be dishonest. Athena is more than just the goddess of wisdom, and that’s something amazing to be the goddess of, but also of battle strategy. Without her, most of the ancient Greek gods battles wold have been lost because the fighting wouldn’t have been rational. i agree with annabeth.hera is a condescending intefering low life and is wrought with jealously.here is my order. Tbh, I think Artemis deserves to be #1, but that really is just my opinion. Hera was snobby in Greek myths and Athena was not the goddess of war, Enyo is. Athena is goddess of War Strategy. She doesn’t actually fight. No offence Athena but you’re kind of a wuss. Again, My opinion. Artemis has the right to be on top because she was kind and she did the right thing to not marry or fall in love. I would totally be a Huntress if Artemis. I would totally follow in her footsteps. Don’t send any hate on me, it’s my opinion, not anyone else’s. Well, tho it’s not ac”goddess’s name” or even a “deity”; my name is Danae. Very ironically, my mother had no knowledge of the Greek mythology ties when naming me . In terms of power…Athena is on top. Hera’s influence is tied to the fact that she is married to Zeus. Her marriage is supposed to set an example to the mortals who worship tge gods and who can blame her when Zeus violate this by having multiple affairs. My own favorite is Hestia. There are little to no stories about her and that is because she minds her own business…and is not petty, jealous and vindictive like her compatriots. Nice list :) my favorite is still forever and always going to be Persephone. Goddess of Spring and Queen of the Underworld, Homer described her as this formidable and venerable Queen. She’s this juxtaposition of life and death and rebirth. The epitome of fierce femininity. Titan is one of 12 primeval deities. The female Titan is also called Titaness. A titan is basically one of the original deities or beings who were before Zeus and the Olympians. One can understand Hera’s jealousy and vindictiveness. She is the goddess of marriage and matrimony and her marriage to Zeus was to be a divine example to the mortals on Earth. His constant philandering is basically a slap in her face. But the Greek Gods basically live with the motto of “do as i say not as I do”. Personally, I think Hestia should rank higher. She is the only major Olympian goddess who do what she is supposed to do: mind her own business instead of stirring up trouble and drama. 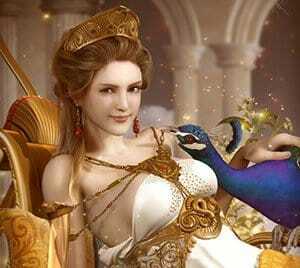 My fav mythology god is Aphrodite the god of love and beauty. Hecate should be on here as well. She helped Demeter find Persephone and is the goddess of witchcraft, magic and the crossroads. Also, she is admired by Zeus and helped in the war between the Olympians and Titans. She sided with the Olympians. Never did I think y’all would get so aggressive. Calm down and make a valid and polite argument, and it will save all of us some trouble. Leto is a goddess, as are the 12 Olympian gods. Just because she does not live on Olympus and is not one of the 12 Olympian gods does not mean she is not a goddess in her own right.